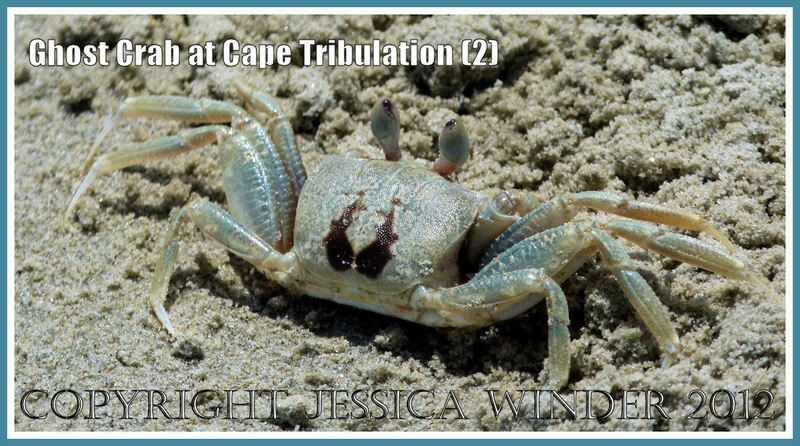 Ghost Crabs (Ocypode spp.) are common seashore creatures of the Tropical North Queensland coast in Australia. 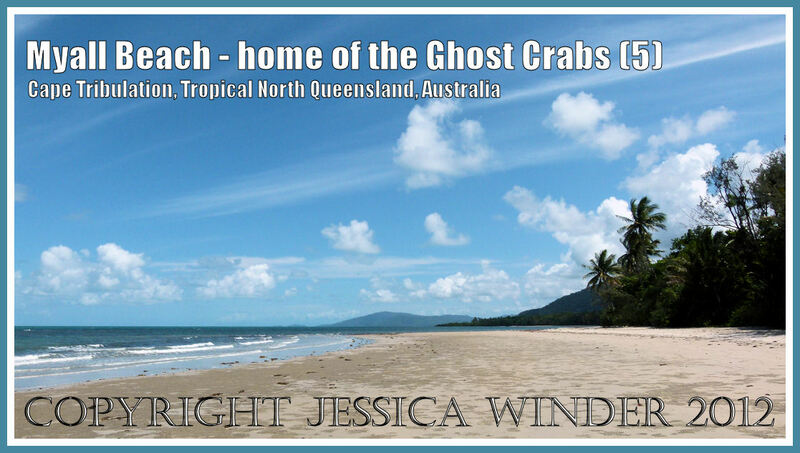 Of course, this coast is most famous for its Great Barrier Reef of coral which lies offshore. 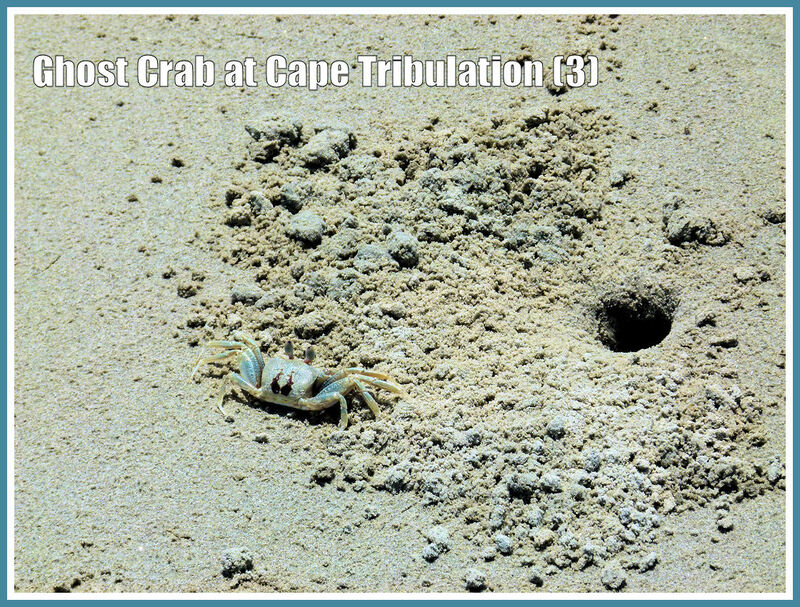 However, the pristine sandy beaches are also home to some amazing animals – and crabs seem to be particularly abundant. Walking along almost any sandy shore in this region, it’s possible to see holes leading into burrows about a couple of centimetres in diameter. These are occupied by Ghost Crabs which mainly come out at night and can be seen by torchlight rapidly scurrying sideways back into their burrow or into the sea. 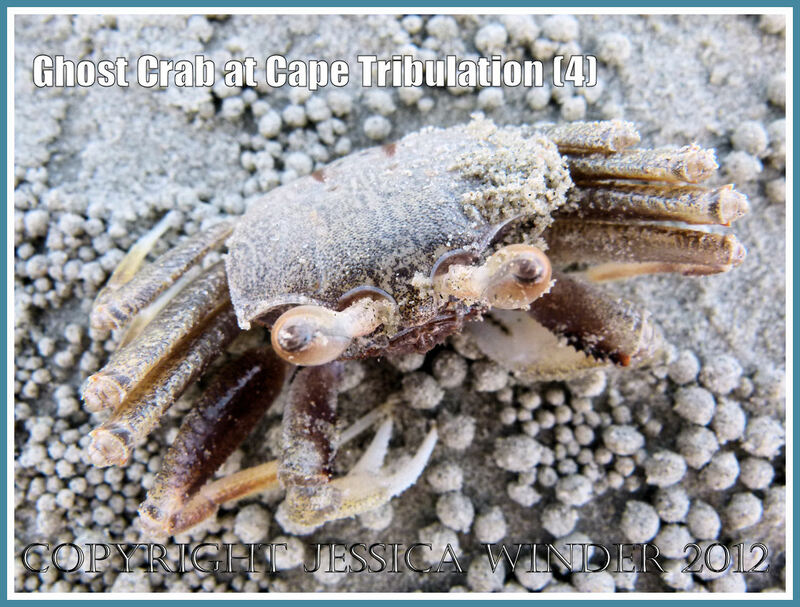 While visiting deserted shores in the Cape Tribulation area, I was fortunate enough to see the occasional Ghost Crab venturing out in the fierce heat of the day. I’m not certain why they would do that if they are considered to be mainly nocturnal animals – but it afforded me a great opportunity to get some photographs. The crabs did not seem perturbed by our presence at such close quarters; and they seemed to show some curiosity by standing and staring back at us. While photographing the Ghost Crab, I placed the camera flat on the beach for a ‘crab’s eye view’ of the little creature. It seemed intrigued by its own reflection in the lens and crawled right up to the camera, virtually squaring up to the apparent intruder in its territory. Most interesting to observe was the way the stalked eyes reacted, as you can see in the short video clip below. Thanks, Roy. I’m just trying to get back to something like normal life again – although with a lot of new and unexpected responsibilities. I did take a huge number of photographs when I was in Australia last autumn and I am looking forward to showing some more of them on Jessica’s Nature Blog – but it is still difficult to find time and energy to write, so articles may be posted less frequently than before. Oh those eyes ! Darn freaky and amazing ! I must find out exactly what physiological phenomenon is being displayed on the eye stalks – it looks as if slit-like pupils are opening and closing. Thanks, Rolling Harbour. 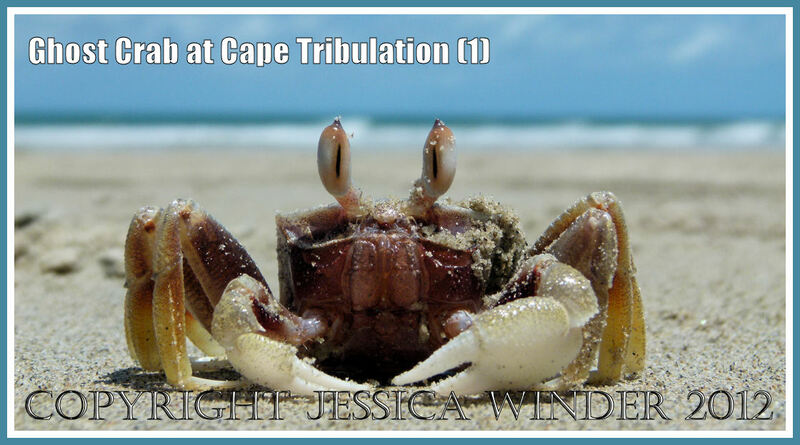 I look forward to seeing pictures of the land crabs at Abaco.